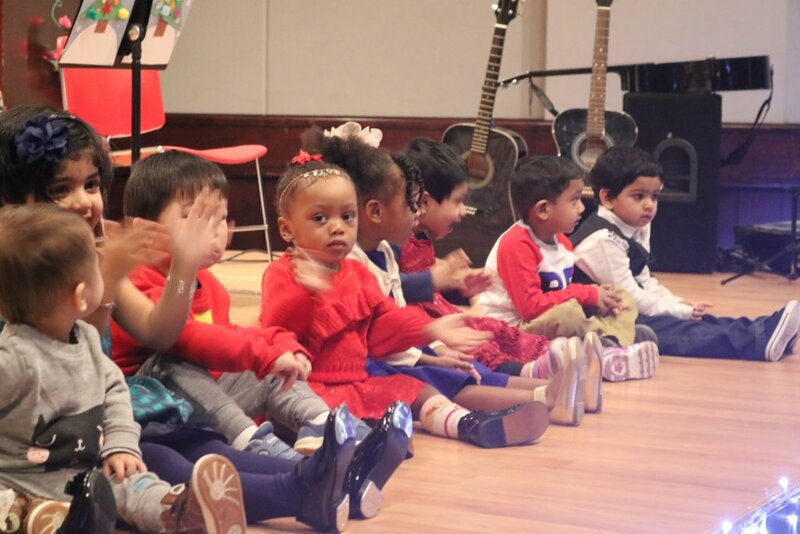 Our Winter Concert 2018 featured performances from all of our students, including a new addition – Preschool! We started started off with a beautiful, rhythmical Chinese Folk Dance, 大阪城的姑娘, directed by Ms. Jeannie. Then all our preschool students, ranging from only 15 months old to 4 years, got on stage and sang English songs with Ms. Rachel and Ms. Katie including ABC Song, Itsy Bitsy Spider, If You’re Happy and You Know It, We Wish You a Merry Christmas, followed by Chinese songs with Ms. Jeannie, 拍拍手, 時鐘, 兩隻老虎, 聖誕舞會. Afterwards, we asked each little friend to speak into the microphone and tell us what they want for Christmas. A great round of applause to our first-time performers! Next, came our middle school students with a rendition of The F.U.N. Song from Spongebob Squarepants and “The Blues,” followed by high school students with an eclectic selection of songs directed by Mr. William Macirowski including Spanish El Conor Pasa, The Old Folks at Home (Stephen Foster), Say Goodbye, I’m Not Your Steppin’ Stone (The Monkees), “Work to Do” by America, Take It Easy (The Eagles), and of course, in celebration of the upcoming holiday, Last Christmas by Wham! with anyone who wanted to join in. Have a Merry Christmas and Wonderful New Year!